Airi made a big announcement on her social networks today, she's going to perform at Nippon Budokan this year on July 9! "Hi everyone, it's Airi Suzuki! I have a really big announcement to make today. Airi Suzuki's Budokan Performance has been decided! It'll be on July 9. As for the details I'll write them all so please check them out. Please come to see me, I'm waiting for you!" More details and the reason why she chose to announce it so quickly can be checked on her blog post (translated here). But I also have a very important news for you all. My first solo live at Budokan. 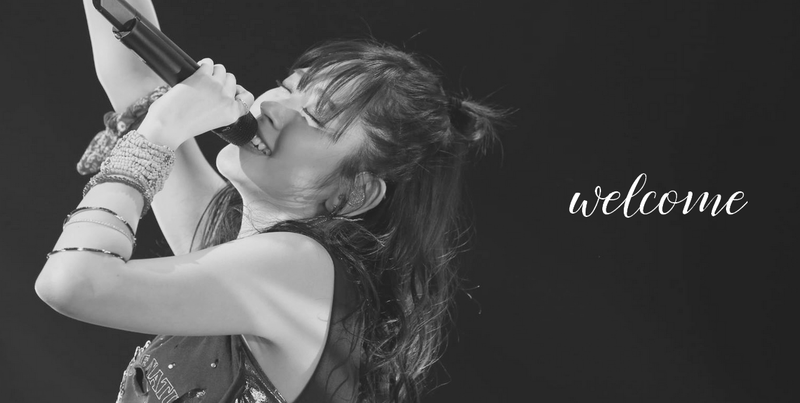 lyrics: airi suzuki - 1st solo album "do me a favor"
Tokai wa suki desu ka? You're not overworking yourself, are you? If you say "I gave up"
Isn't it fine not doing your best? Isn't it fine admitting you can't do it at times? Isn't it fine keeping dreams as dreams? Isn't it fine giving up just now? Isn't it fine doing mistakes? Isn't it fine turning your back sometimes? Isn't it fine not being strong? Isn't it fine just living in the moment? look at me in such a way, right? Is it too late already? Weren't you having fun talking? The smell of rose, or cinnamon over peppermint? It's fun not to know, right? Karappo na kibun na no wa naze? In that city I can conquer? You say "You can still do it ; stand up"
"There's still a lot you want to show"
To the stars falling from the sky I've watched? When did I started believing in it? What pushed me to do this? I would follow the light my hearts wants. "The landscape here is great!" will want to dash so that no one can catch me. "I want to see you"
I whispered "I don't think I can do this." (Let me know) Doko de Donna Keshiki Miteru? (Let me know) Where (are you and) What kind of Sceneries Are you watching? to catch up with you? Koko kara doko he iku no? Wakaranai Oh tell me why? I can't get it Oh tell me why? Nan na no? Doko na no? Dare mo shiranai no Uhh? What are the really important things? Hey, you're being nice now? My perfect timing . . .
Doushite na no? Soko made suru no? What's up? Are you really playing it like that? You mean you still want me? How many times did we start again? Kono saigo no watashi no wagamama uketomeru no...? are you taking that last selfish me...? Did your interest fall after I told you I was strong? Sonna tenshi janai Can't you see? Don't tell me "I'm not good for you"
"I'm not that kind of angel, can't you see?" Zutto iwanakatta kedo yatto aeta ki ga shita? I've never told this but, I felt like we could meet? Dondon yokubukaku natte What did you do? Becoming more and more greedy, what did you do? "It's too fast" or "You're too young"
It might be a miracle, named "you"
Watashi wa ima Koi no yume wo miteru? Am I dreaming this love right now? "Ano hi" "Ano toki" "Ano hito" "Ano basho de"
"That day" "That time" "This person" "This place"
You keep repeating "That's hopeless"
You've always restained yourself right? Jisonshin mo hiiru mo isshoni suri hettenai? OK? Not being able to say "Help me"
Did your self-esteem got scuffed with your heels? OK? Just by hearing words like "You just have to face forward"